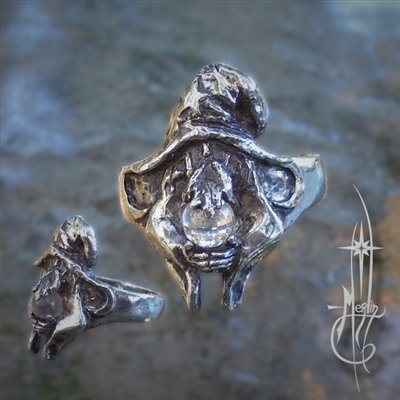 this Wizard Ring is available for you! for the person who orders it. giving a flash of blue as the light strikes it. The designer setting is his hands and beard. seeing images of the past and yet to come. Perfect for the Wizard in your life! To get yours, please visit my Wizard Ring Page.